The Cleavage Control Clip puts the control in your hands. Just clip it on the back of your bra straps and your breasts are lifted or a youthful sexier look IMMEDIATELY. 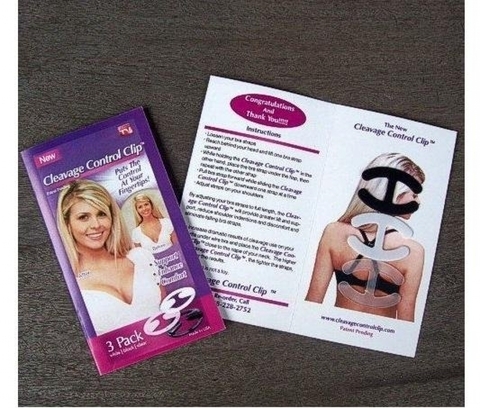 Now you can stop wrestling with stubborn bra straps and give your cleavage a firm, youthful lift thanks to The Amazing Cleavage Control Clip : The ultimate bra strap solution/concealer! You'll never risk another fashion faux pas with any bra again with Cleavage Control Clip!